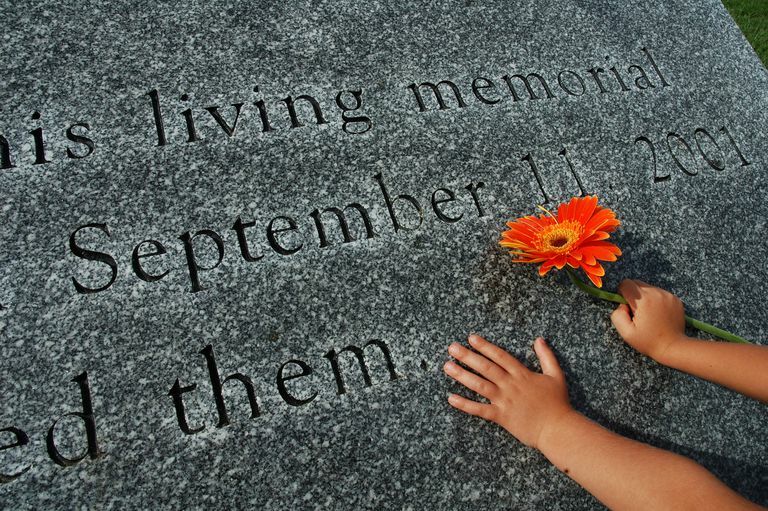 This study looked at 84 mothers and their 166 children (ages 7 to 15) from the Boston area who did not have a loved one killed in the 9/11 attacks. The majority of the children heard about the attacks either in the morning (53%) or afternoon (42%) of 9/11. In addition, many children were exposed to some television coverage of the events. 13.8% did not watch any television coverage of the attacks. 25.9% watched under an hour of television coverage of the attacks. 22.3% watch one hour of television coverage of the attacks. 30.7% watched 2 to 4 hours of television coverage of the attacks. 4.8% watched 4 to 6 hours of television coverage of the attacks. 2.4% watched over 6 hours of television coverage of the attacks. They found that 5.4% of children and 1.2% of parents in the study had symptoms consistent with a diagnosis of PTSD stemming from indirect exposure to 9/11 events. An additional 18.7% of children and 10.7% of parents showed some symptoms of PTSD, but not enough for an official PTSD diagnosis). Among all children, the amount of television watched on 9/11 was not linked with PTSD rates. However, when considering only children 10 and younger, the development of PTSD was related to the amount of television watched on the day of 9/11. In addition, children who showed more distress during the week of 9/11 and identified more with the victims of 9/11 were more likely to develop symptoms of PTSD. When people think of PTSD, they often think that a person has to directly experience a traumatic event. However, this study shows that even indirect exposure to traumatic events can increase the likelihood of developing PTSD in populations that may be considered vulnerable, such as children. The live television coverage of 9/11 meant that many children were exposed to distressing images that may have been hard for them to comprehend or cope with. In situations like this, it is important for parents to monitor what their children are watching and, at the same time, help them understand and cope with the situation. The Sidran Institute, a nonprofit organization that provides resources on trauma and PTSD, provides some helpful tips for how parents can help their children cope with and understand a traumatic event. Otto, M.W., Henin, A., Hirshfeld-Becker, D.R., Pollack, M.H., Biederman, J., & Rosenbaum, J.F. (2007). Posttraumatic Stress Disorder Symptoms Following Media Exposure to Tragic Events: Impact of 9/11 on Children at Risk for Anxiety Disorders. Journal of Anxiety Disorders, 21, 888-902.